Finally, a cardiologist who is comfortable with the outputs from an Apple Watch. And one who understands and appreciates,as an athlete, my need to exercise. Especially, I valued his willingness to be a listener, not a talker. Finally, a cardiologist who is comfortable with the outputs from an Apple Watch. And one who understands and appreciates, as an athlete, my need to exercise. Especially, I valued hiswillingness to be a listener, not a talker. I couldn't expect like this wonderful attention. Everybody were so nice especially Dr. Limberg and Dr. Hsi. They are professionals.I am very helpful that they got me. I couldn't expect like this wonderful attention. Everybody were so nice especially Dr. Limberg and Dr. Hsi. They are professionals. I am very helpful that they got me. 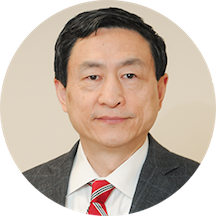 Dr. David Hsi is a dedicated and trusted cardiologist serving the community of Stamford, CT, and Darien, CT. Dr. Hsi attended Shanghai Medical University, where he received his medical degree, and completed his residency in internal medicine at Newton-Wellesley Hospital. He also completed his fellowship in cardiovascular disease at VA Boston Healthcare System, West Roxbury and at Brigham and Women's Hospital. Dr. Hsi is a part of The Heart Physicians. He is a board certified physician specializing in cardiovascular disease and is affiliated with the Stamford Hospital in Stamford, CT. His medical experience is vast and impressive. Dr. David Hsi gives each patient his focused attention, and he prides himself on delivering the best treatment available. Enjoyed meeting Dr, Hsi and discussing what medical treatment I should pursue.